Gracie's been waking me up in the middle of the night for a couple of weeks now. "No. I need sleep. Go away." "No. I can't talk to you now." "You're no fun when you're sleepy." "Don't wake me up, then." "Go be excited with someone else." Last night, I told her people could see the cover in the morning. 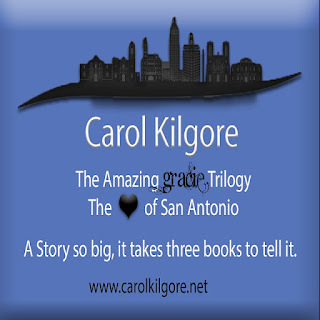 So for you, and for Gracie, here's the cover for Bluebonnet Ballerina, the second book in The Amazing Gracie Trilogy. In other news - sort of - Gracie has also been bugging me about jalapeno cupcakes. You remember those luscious dark chocolate cupcakes with a little hint of jalapeno heat. And the creamy dark chocolate frosting. Now you can be a Wench and bake those yummy jalapeno cupcakes in your own oven. I have the recipe! Join my newsletter, and I'll share it with you. 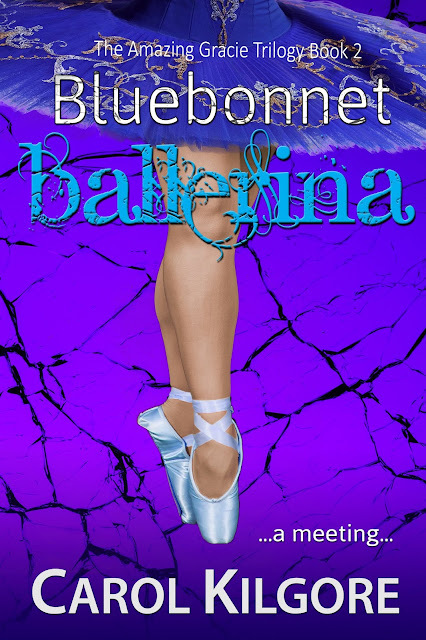 and news about the release date for Bluebonnet Ballerina. Cool colors on the cover. Are you going to share that recipe? Alex - Thank you. All thanks to my cover designer, Ada Frost. She's awesome! HR - It will be here before you know it. A beautiful cover. All your covers are great! Good luck with the launch. 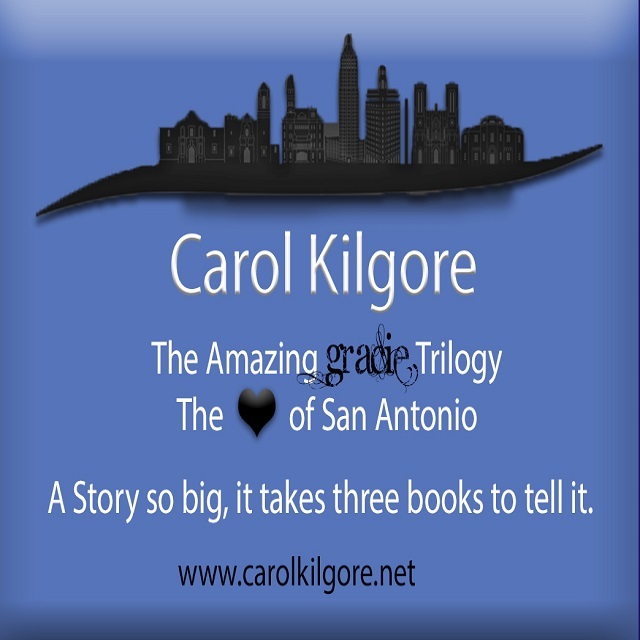 Love the cover, Carol! It's gorgeous! Natalie - Thanks. I love it, too! Fun times! Don't you love it when characters nag? There's nothing quite so fun as when they live vivaciously in the real world and the mind. Lovely cover. The colors really pop. Fantastic cover! And I'm looking forward to more of Gracie. She's the best. Great cover! I don't blame Gracie for being impatient. So am I! Looking forward to book 2. Christine - Thank you, too. Ada Frost is amazing! Jody - Ada Frost did a wonderful job. Susan - Wonderful! Soon... I promise. Bish - Thanks. Looks like we crossed. Maybe that means good luck for both of us - ya think? The eternal struggle that will always be with humanity right there. Gorgeous colors--so eye-catching! I'm excited for book 2! Lynda - Gracie is excited... talking nonstop. Stephen - Thanks. Good to see you here! I love, love, love the ballet shoes cover! It's bright and bold and... pops out!